At the core of our mission is family. We take family very seriously at FND and that is why all of our programs and services work to help support our families. 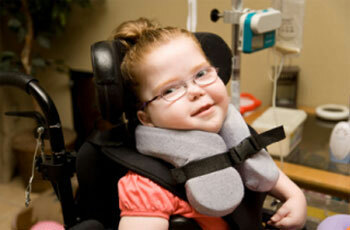 We do this through an array of programs and services that provide education, advocacy, and respite care. FND has long been known as the “heart network” and just about everyone who works for us is the parent of a person with a disability and has special needs. Our network is made up of an alliance of parents, professionals and community members – all with a single focus – to empower parents to provide the best opportunities for their children. Our well trained and experienced staff, not only help our families to access FND’s programs and services, but they help families to better navigate systems of care that are available to them. Because we are an organization “without walls,” FND staff is able to work with families in the comfort of their own homes. With FND, referral services and answers to your questions are just a phone call or visit away! WHO CAN REFER A PARENT TO FND? Parents, professionals, relatives, doctors, therapists, and friends can make referrals to the Family Network on Disabilities. However, before a referral is made, parental permission must be obtained. 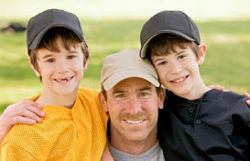 We then contact the parents and provide them with information about FND and the services and programs that we provide. Many parents decide to become members of our organization and begin to receive the quarterly newsletter. Others may become involved with one of our many special services, programs, or events.